What makes our CMS unique? We’ve added the marketing (and the measurement) to the management. 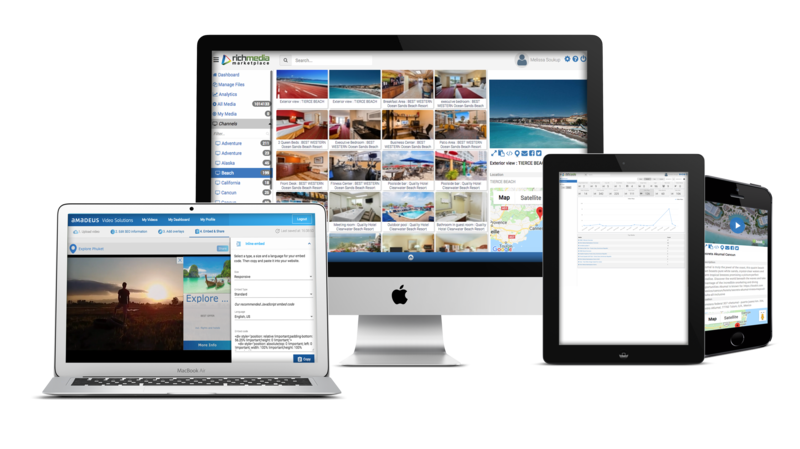 Once your content is uploaded, stored and designated for distribution, it becomes a rich media resource in the Rich Media Marketplace – the largest B2B library in the industry and free to travel agents and industry marketers. Using our full suite of marketing tools, suppliers can easily enrich their assets with interactive video player technology, enabling promotional messaging to further optimize their brand and message.